Kaun Banega Crorepati 9 is to be return once again with registration process. 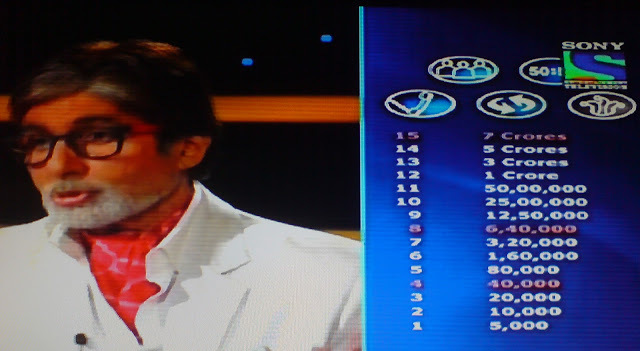 KBC is an Indian reality quiz game show based on the UK game show “Who Wants to Be a Millionaire?” The Show was started in 2000. It was hosted by Amitabh Bachchan. First time Bachchan was appeared on Indian television from the Show. KBC 2017 registration begins for the auditions. www.kbc.sonyliv.com has to update information about KBC Season 9 registration details and questions. The Bhajan "Raghupati Raghav" is sung is praise of which deities? Which of these mythological figures share a ‘Mama-Bhanja’ relationship? Whose official residence in New Delhi 7, Race Course Road? The Krishna-Godavari Basin is one of the largest reserves in India of which natural resource? According to the media campaign 'Power of 49', who form as much as 49% Percent of the Indian voter base? Which region chose to merge with Russia in a referendum held in 2014? Which of these holy cities is also known as Kashi? In Films, which Jai gives the ‘madad ki chain’ Mantra: “Help three people and ask them to help three others in return? What is ‘selfie’, the Oxford Dictionaries’ Word of the Year 2013? Which of these names is an appellation of lord Shiva? How many seats does a party need to attain a single majority in Lok Sabha? KBC Season 8 registration line will remain open each day of above mentioned date from 20:30:00 (8:30 PM) hours to 20:29:59 (8:30PM) hours. Idea subscribers have to dial 55456 and choose the option of 01/02/03/04 for the right answer. BSNL Landline subscribers have to dial 5052525 and choose the right option 01/02/03/04 for the given question. BSNL Haryana, Rajasthan and Punjab landline subscribers have to dial 12555 and choose the right option of 01/02/03/04 for the given question. Idea subscribers have to send an SMS to 554567 and all others to 5252525 typing KBC space A/B/C/D space age space gender. KBC online registration form 2014 is available at: kbc.sonyliv.com/kbc/participateNow for online registration. You just have to fill the information and get KBC Online registration form 2014 to participate in it. Age should be written in completed years as on 4th May, 2014 - and gender as M/F. Call and SMS charges are also mentioned at kbc.sonyliv.com that could be downloaded from: http://resources.sonyliv.com/image/upload/v1399295480/Terms_Conditions-KBC_2014_s5oerr.pdf in PDF file. Selected contestants through KBC Season 8 registration will be called for the auditions. So, we have updated the details about KBC registration 2014, questions and registration dates.